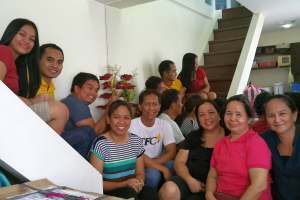 GRN Philippines team and associates in their office. GRN recording teams around the world identify target languages through research, partnerships and prayer. GRN prioritizes recording those languages which have few or no known believers; no Bible materials nor portions available in the languages and there are no churches among that people group. The GRN Philippines team identified several tribal groups whose languages were a recording priority. God's favour led the team to a pastor with a passion to reach the same tribes. The pastor and his family hosted the team and assisted them to find language helpers and translators to help with editing and recording. Meanwhile, a church in Australia desired to partner with GRN and asked about possible projects to support. The church very generously sponsored and prayed for the recording project in the Philippines. 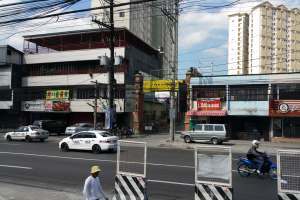 As a result of this church's involvement, the Philippines team has been able to proceed with the recording project. 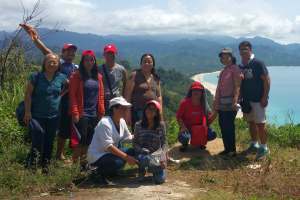 In August last year, the Philippines team spent three months recording in the Cagayan province in the north-eastern part of mainland Luzon. They recorded four dialects: Atta (Pudtol, Faire and Pamplona) and Ibanag. The smallest of these four dialects has only 300 to 600 speakers. The team also recorded a regional dialect spoken by up to 500,000 people. The recording project has already had an impact on one of these tribal groups. By the time the recordings were finished the people were ready to form a church. The pastor asked the recording team to help him start a church in a tribal group they were visiting for the first time. The team joyfully celebrated a worship service with this fledgling church a week before returning home to the GRN office in Manila. A short term mission, 'KawaSaka 09', is planned for April 2017 to distribute these recordings. A team from the Philippines and Australia will go to encourage the local Christians and the newly-planted church, help the local church distribute the recordings, and take part in outreach to these communities. The Australian church sponsoring this project has also sponsored the CDs, micro SD cards and Sabers which will be used in this distribution. Please contact GRN Australia if you are interested in participating in any GRN short term missions. Please pray for the upcoming distribution of these new recordings in April. Please also pray for the new church started by the pastor with the help of the GRN team.